As I adjust to my post baby body, I am working hard to still wear cute outfits. My sister recently bought me these floral printed leggings and I thought I'd give some print mixing a try. It was an easy first step to try this with accessories. I chose a scarf with similar colors and wore them with a black base outfit. 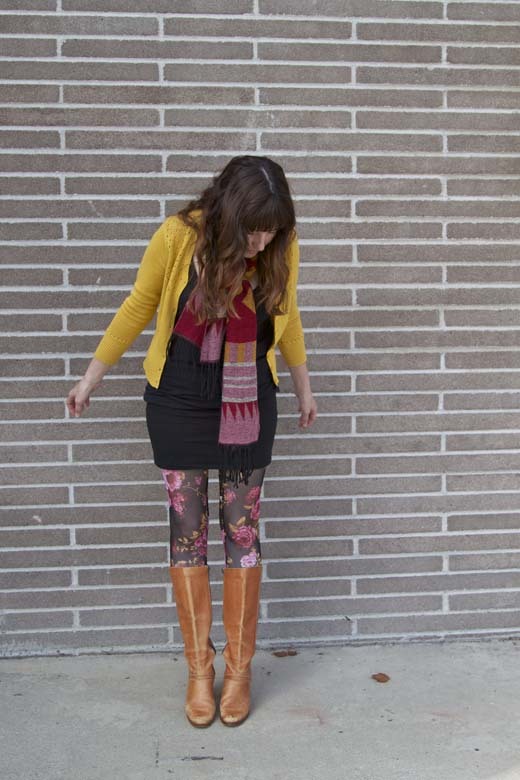 I always try to wear at least one or two vintage pieces, so I added a vintage cardigan and vintage boots, drawing on the yellow tones in the scarf and leggings.